It has been good to see everyone back again this week after the winter break. Staff enjoyed a great day last Friday as we continued to learn together and grow in advancing our school improvement plan. We were encouraged, inspired, and motivated in our work together. We trust your break was a good time to enjoy a little extra time with your families, as well. So, now, we eagerly and enthusiastically engage our daily routines and learning activities into the spring, including a wonderful LIVE@theIntersection this morning. I remain so grateful for this community of students, staff, and families at Rose Park. I’m going to continue to ask you, friends. Who needs to hear the Holland Christian and Rose Park story of Christian education? Who needs to hear your special story? And, who needs to come into the building to join me for a few minutes in a ringside seat to see what the Holy Spirit does here in the learning and growing experience of students at Rose Park? Please, bring them! Introduce them to me! Don’t forget, whether new or existing families, Kindergarten and Preschool enrollment remain open. We are so eager to see whom God will add to our family! Pray with us for God to expand our Rose Park family, to fill our hallways with new students, new families with whom we may partner and journey together for his sake, his glory, and his Kingdom. As always, may you bless and be blessed this weekend in rest, recreation, and in awe-filled worship. This has been another growth, meaning and joy-filled week at Rose Park, partnering with you and the rest of the staff, equipping young and eager minds, nurturing soft and tender hearts, to transform the world for our Lord and Savior, Jesus Christ. It is painfully obvious that the culture and world we live in today is so much different than most of us experienced growing up. Are you struggling at all knowing how to talk with your children about events like last week’s Florida school shooting? Bob VandePol from Pine Rest recorded a great interview with Miranda this week about how to talk with kids about tragedy. His insights are so sensitive and wise for children of all ages. I appreciated the interview a great deal and immediately thought of you, our Rose Park parents. Here is the link for you to see the interview, as well. I encourage you all to take a few minutes to watch this interview, and hopefully you will find it as insightful and helpful for your parenting and families as I did. 2018-19 Kindergarten Enrollment Has Begun! We will offer 3 Day+, 5 Day, and 5 Day Spanish Immersion kindergarten classes this fall. Enroll online at: https://www.hollandchristian.org/admissions/k-12th-grade-application/. Please enroll your child in kindergarten by March 1 in order for us to prepare class lists. Children will need to be 5-years-old by September 1, 2018, to enroll in kindergarten for the 2018-19 school year. 2018-19 Preschool Enrollment Has Begun! Come out to Potbelly Sandwich Shop at 12359 James Street on Thursday, March 1, 2018 from 4-7PM for a Rose Park Christian Night! Make sure to tell your cashier that you’re there for the Rose Park Christian School Fundraiser Night or show them this post to make sure your purchase counts towards the fundraiser amount! We’ll receive 25% of all participating sales. We plan to use the money for non-budgeted materials and experiences to enhance the educational and faith-formational experience of our students. Please pass this along to family and friends, and don’t forget to tell your cashier that you are there for the Rose Park Christian School night. Thank you for supporting the students and staff of Rose Park! With flu season upon us we want to remind you of a few guidelines we have in place at Rose Park. If your child is not feeling well, please keep him/her home. Students must be fever free for 24 hours without use of a fever reducing medication before he/she may return to school. Please let us know each day your child will be absent. You may call and talk to us directly, leave a message on the 24 hour-a-day voice mail, or you may email Mrs. Steenwyk at dsteenwyk@hollandchristian.org or Mrs. Chase at cchase@hollandchristian.org. If your child has an appointment during the day, please email the teacher or send a note stating the time you will pick up your child. We will have your child waiting for your arrival in the office. Our 4th graders have been working hard on their Market Day products! Students have spent hours creating their product, marketing it, and are ready to sell their product at their “store”. Our k-6th graders will be able to shop these stores (tables) with their teacher in the big gym on Wednesday, February 28. Students are allowed to bring up to $4.00 to shop. It is also a good idea to bring along a small plastic bag to carry their purchases. If you have a chance, take a peek at the display case in the hallway for a sample of the products that will be sold. Sometimes the month of February can be a bit dreary. We are going to spice up every Wednesday in February by making it wacky! The delicious adventures experienced by Charlie Bucket on his visit to Willy Wonka’s mysterious chocolate factory light up the stage in this captivating adaptation of Roald Dahl’s fantastical tale. Holland Christian Middle School will be presenting four performances of this scrumdidilyumptious family-favorite musical and you’re invited! That is correct! Family Fun Night is just around the corner! Our amazing Parent Board has been working hard to get things ready for Friday March 9. In order for the night to be a huge success, we need YOU! Each game needs volunteers, so pick your favorite and join in the fun. Please follow this link to sign up. We look forward to seeing you there! A favorite part of the night is the Cake Walk. This cannot happen without your donations! The Parent Team is also in need of a few other supplies to make the night a huge success. Please refer to the SignUpGenius to see what is needed. We have loved getting to know fellow moms of preschoolers! Our next scheduled morning is Wednesday, March 7 after morning drop-off in the small gym. Please join us! Grab a cup of coffee and meet other moms of preschoolers. Younger siblings are welcome to attend. Are you looking for a new home for your music? Mrs. Luce is in need of a variety of musical CD’s. Instrumental, Christian, multi cultural music would be greatly appreciated! Thank you. Are you curious what your child is learning in Spanish with Maestra De Leon? She has created a blog Rose Park Elementary Clase De Espanol. Here you can find your favorite videos, songs and games from class. Maestra De Leon also posts pictures of the wonderful learning that is occurring. A recess duty sign up is available on line. Dates available go through spring break. The sign up availability changes often. Feel free to check it to see if there are days that could work in your schedule. We greatly appreciate your assistant on our playground! The time commitment is 12:10-12:50. Younger siblings are welcome to come and play as well! To sign up, please click here . We are pleased to announce that BIGGBY has joined the list of TRIP vendors! Gift cards are for $10 or $25 with a generous 20% rebate! You can order them starting this week Wednesday. 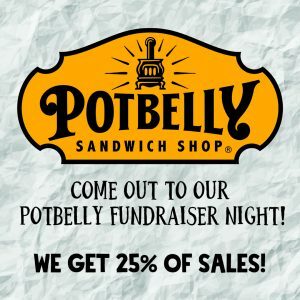 Don’t forget to order Potbelly gift cards for Rose Park Night at Potbelly on March 1. The Athletic Department of Holland Christian Schools is offering students entering grades 7-12 the opportunity to complete a state-required athletic physical. This required physical will allow your student to participate in athletic events throughout the 2018-2019 school year. Note: this exam must be dated after April 15 to be valid. Physicals will be given Tuesday, April 17 from 6:30-9:00 PM at South Washington Family Medicine (Lakeshore Health Partners, 904 Washington Ave., #210), for the nominal fee of $15. For a simple and quick appointment, we will again be using SignupGenius for scheduling appointments online. Please look for the link to be sent in an upcoming email. 2018-2019 physical forms will be available on our website and in school offices. MOMS IN PRAYER- See you in the library on Friday, February 23, from 8:15-9:05. Our Spring Kids stuff reSale is right around the corner! Looking for kid’s clothes that won’t break the bank? Need a cute Dutch costume for your child? What about a bathing suit or soccer cleats? You can get it all at the 2018 Spring/Summer Holland Christian Kids’ Stuff ReSale on Saturday, March 3 at Holland Christian High School, located at 956 Ottawa Avenue, Holland 49423. 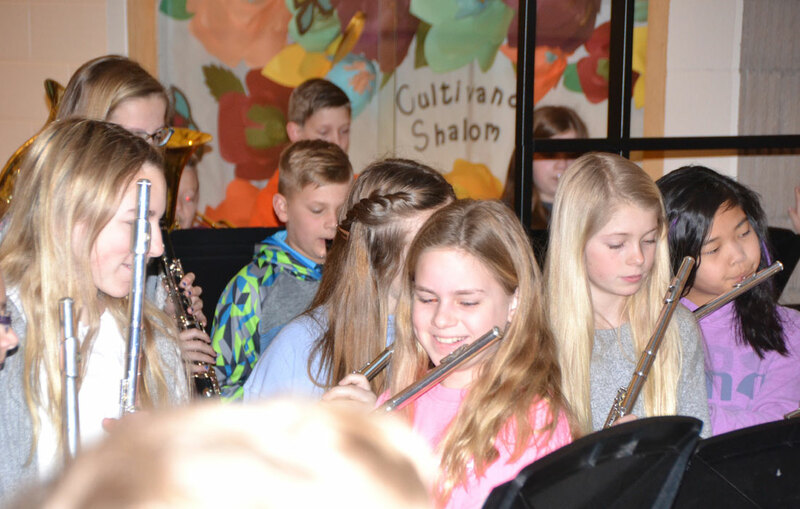 Martha Waldvogel-Warren, Harp Instructor at Hope College, offers this wonderful opportunity in cooperation with the Holland Symphony Orchestra. Small, easily transportable instruments are provided to allow a “peek” into the world of playing the harp to see if this is something of interest for the participant’s future. (Harpists are needed at the High School level in several area orchestras!) Instrument rental, course materials and 8 group lessons are included in the course fee of $225. All students are expected to bring their harp and provided course materials each week and return in good condition at the end of the session. Click here for the flyer. Register now to avoid disappointment, space is limited to 6 students due to the number of harps available. On Saturday, March 17 Holland Recreation will be hosting a 4 v. 4 Volleyball Tournament for all ages! Gather your team today and get in on the fun! Tournament information and the registration link can be found below! Note: 8th Grade divisions and lower will have modifications to game play to promote a better game flow. TTQ Spring Season Online registration is open! Parents of 3rd-5th grade boys: the TTQ spring season is starting soon!! We now have online registration available! https://www.raceplanner.com/register/index/TTQSpring2018 The spring season will start the week of February 26 and end with the Tulip Time 5k on May 5th!! Rose Park TTQ is looking for a coach who is willing to coach both practices each week. Ideally this would be on Tuesdays and Thursdays, or on Mondays and Wednesdays. Contact Brandon at bmelnyk@arborcircle.org with any questions you have! Looking forward to a great spring season! The Holland Area Newcomers are holding their 67th annual Dutch Costume Resale. The event will be held on Tuesday, March 6 from 5:00pm to 8:00pm at Harderwyk Ministries 1627 West Lakewood Blvd Holland, MI 49424. Click here for more information. Get outdoors, play hard, meet amazing counselors, make great friends, and know that you are loved by a God who is greater than you can imagine. In addition to Camp Roger’s 4 and 8 day Overnight Camps and Wilderness Trips, a Day Camp program is being offered at our Camp Scottie campus. Summer Camp registration is now open. For more information, pricing, and availability please go to our website, https://CampRoger.org. Join the dance! Become a Tulip Time Kinder Dutch Dancer! Tulip Time is looking for 3rd, 4th, and 5th graders interested in becoming Dutch Dancers! Kinder Dutch Dance information and registration can be found at www.tuliptime.com/kinder-dutch-dance. Take a peek at this City of Holland Kinder Dutch Dance video to see what Kinder Dancing is all about. Have questions? Please contact jennifer.tenpas@gmail.com.